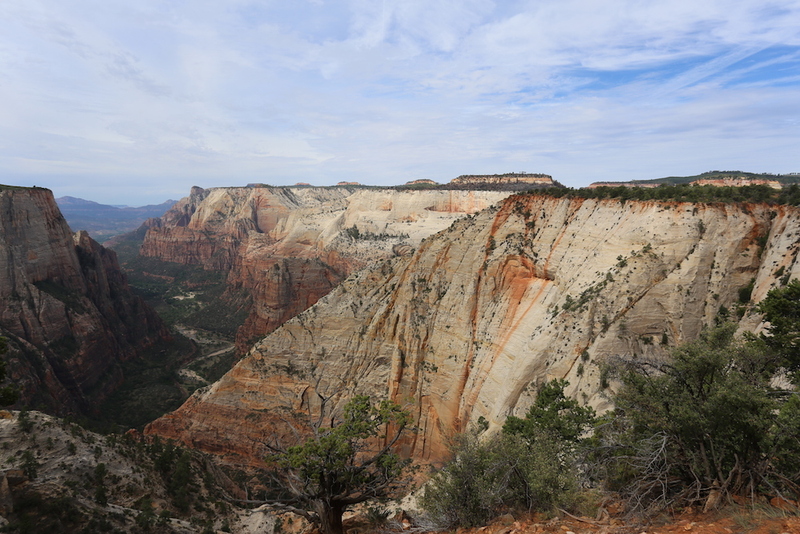 Due to the possibility of flash floods in the Narrows at Zion, I used today to hike up to the 6,508 ft Observation Point. 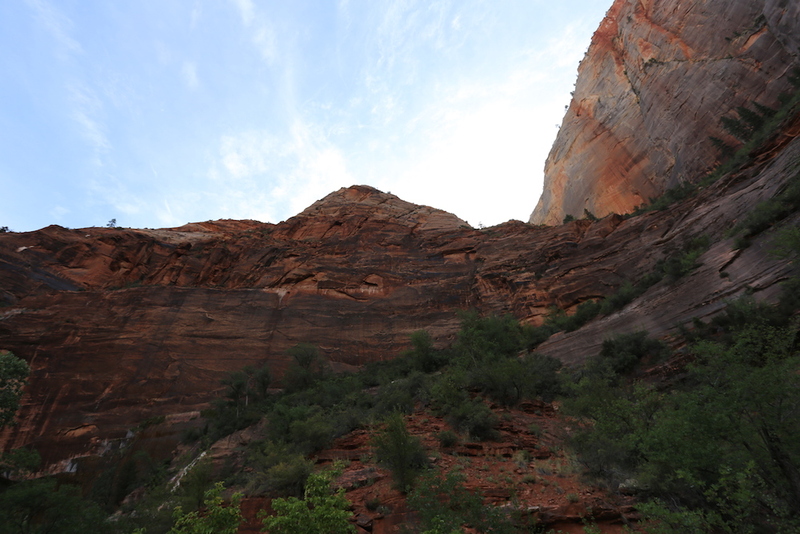 Although it was a tiring climb and it’s over 700 ft higher than Angels Landing, I don’t feel it was as rewarding (read: “challenging”). 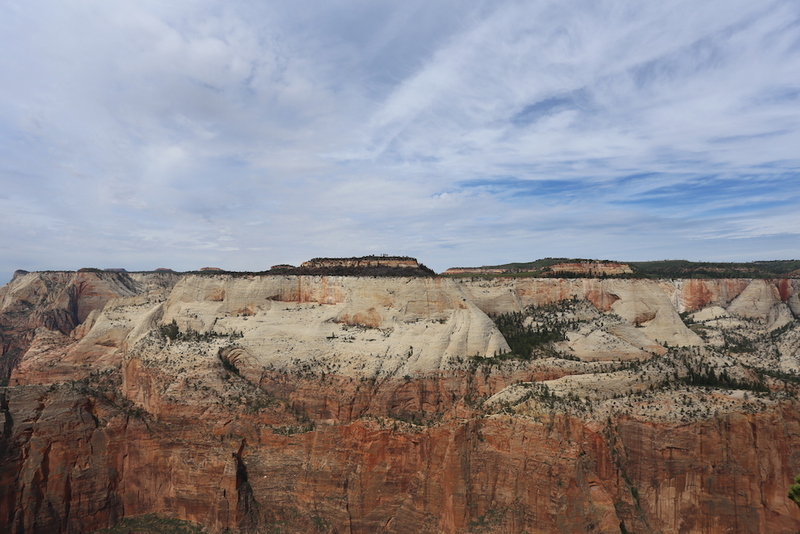 It does have nice views at the top and there’s a really beautiful canyon you get to walk through just before the halfway point. 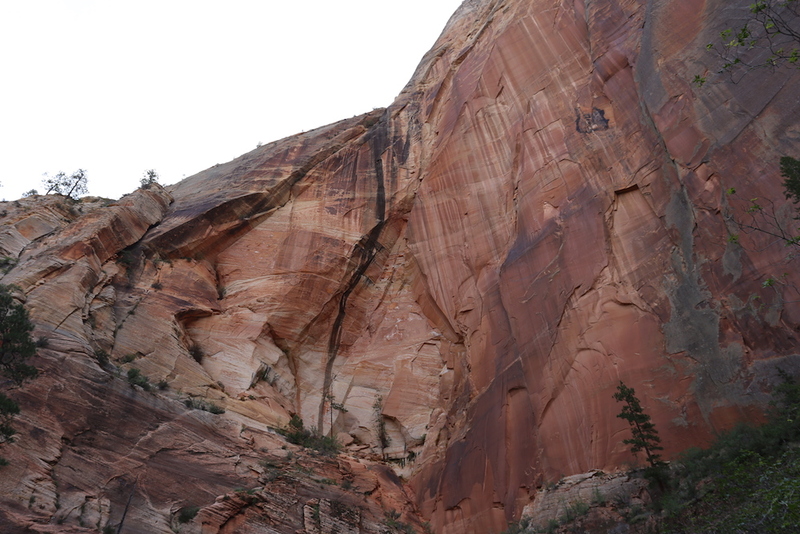 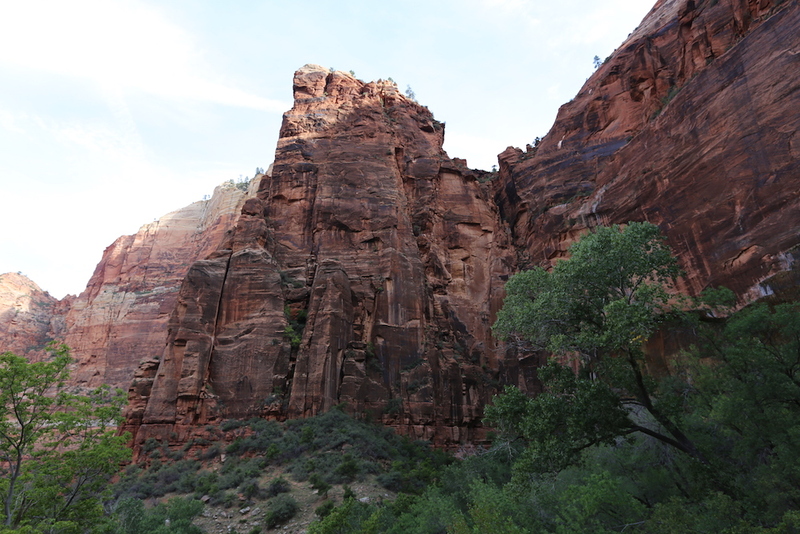 There’s also a significantly less amount of people on the trail compared to Angels Landing. 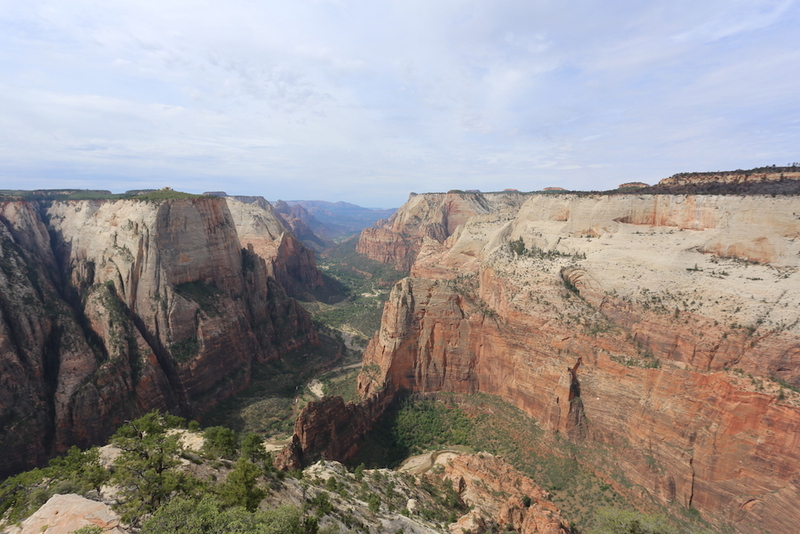 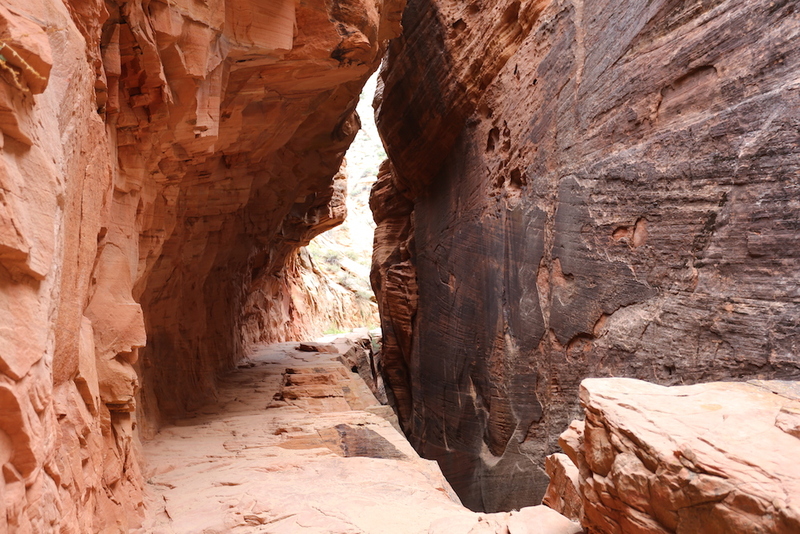 The trail starts out similarly to Angels Landing, hiking up a set of long, steep switchbacks that are part of the East Rim Trail. 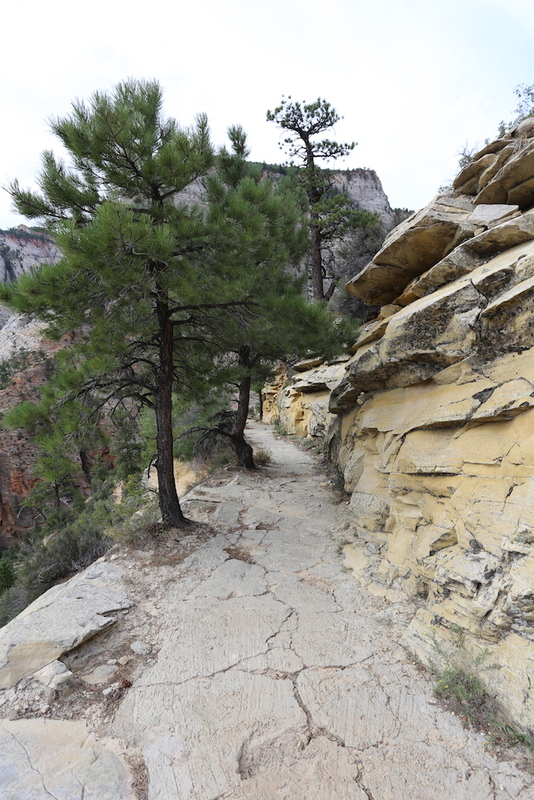 Roughly half way up the switchbacks, there’s a side trail for The Hidden Canyon, but it’s closed this year for construction. 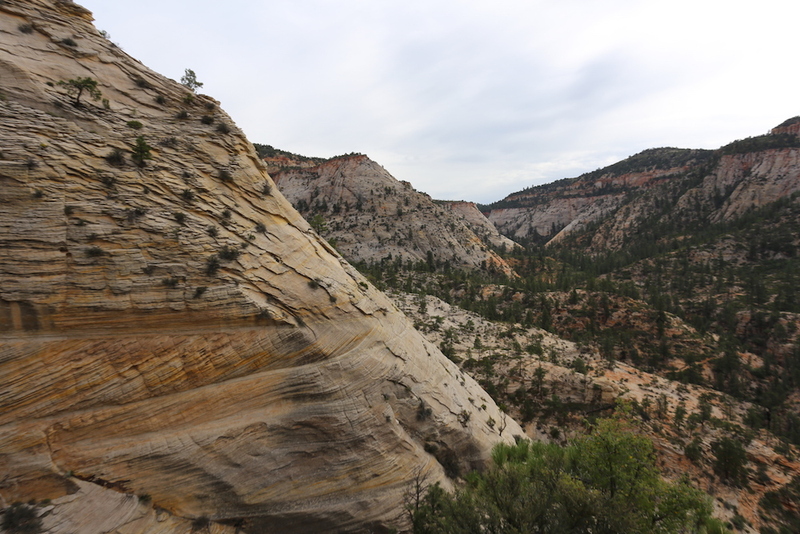 There’s a lot of beautiful views as you hike up, but unfortunately there’s not a good spot to look back down and see all the switchbacks. 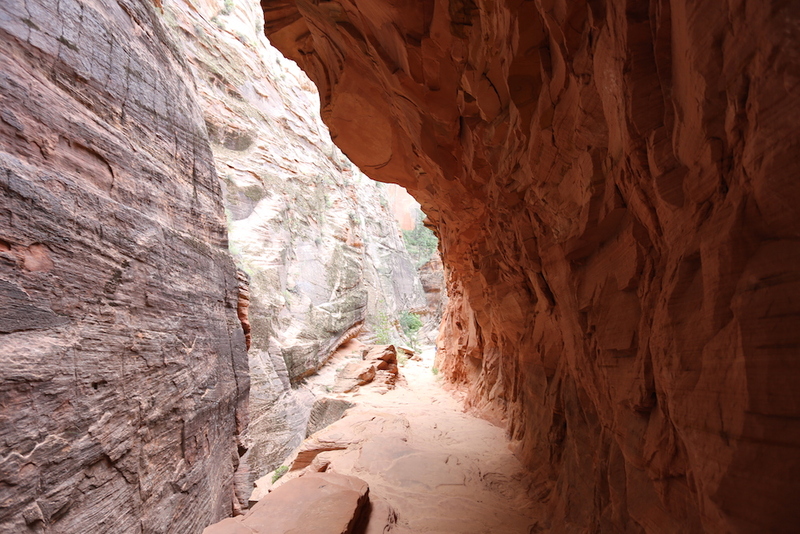 Shortly after the switchbacks, there’s a gorgeous canyon you get to walk through. 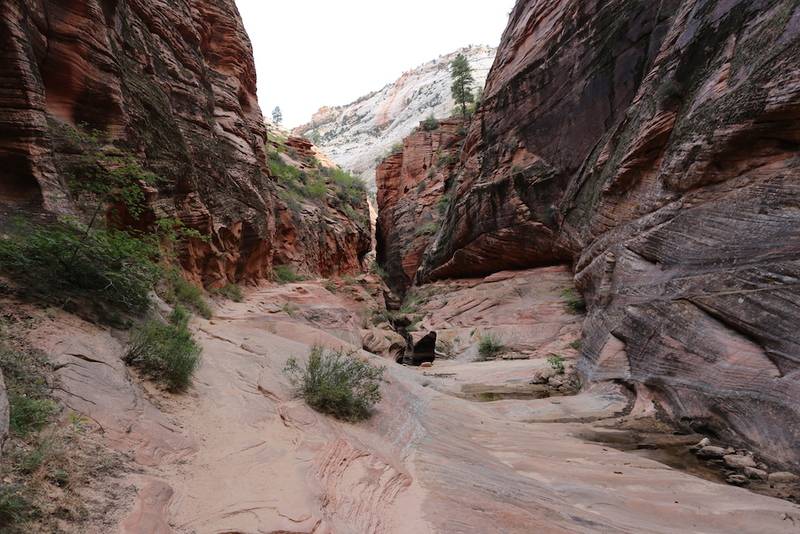 This is probably my favorite part of the entire trail. 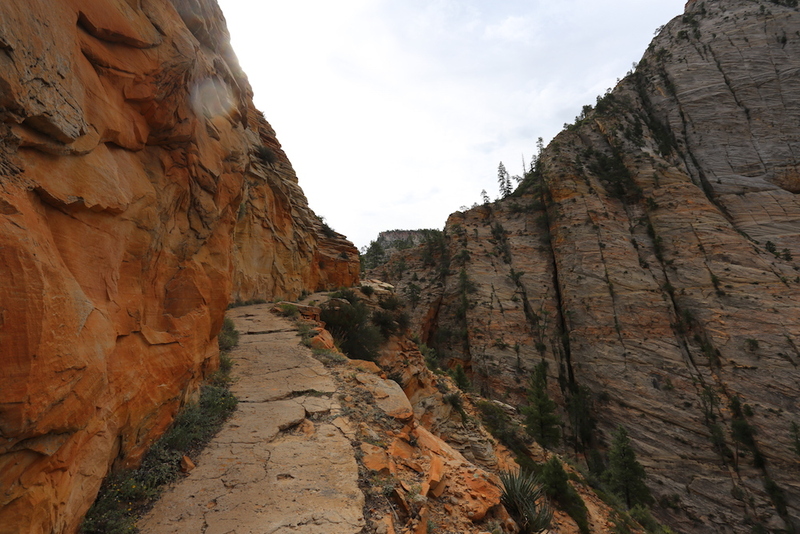 The rest of the climb up follows a walkway built around the edge of the cliffs. 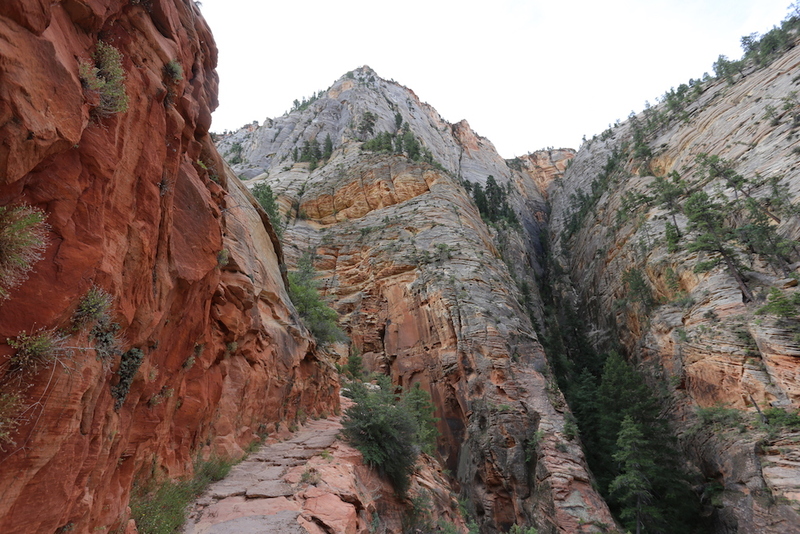 It’s nonstop up and there are several more switchbacks along the way. 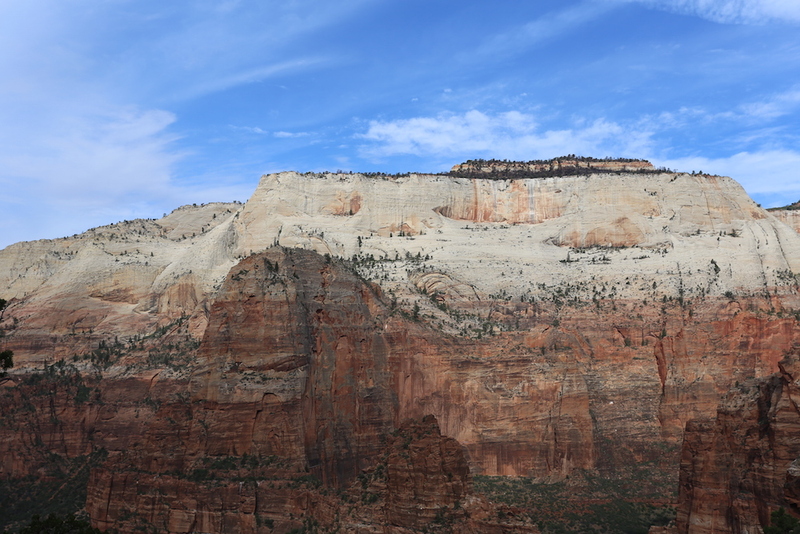 Eventually you’ll reach the top and follow a dirt path for about 10 minutes to walk out to Observation Point. 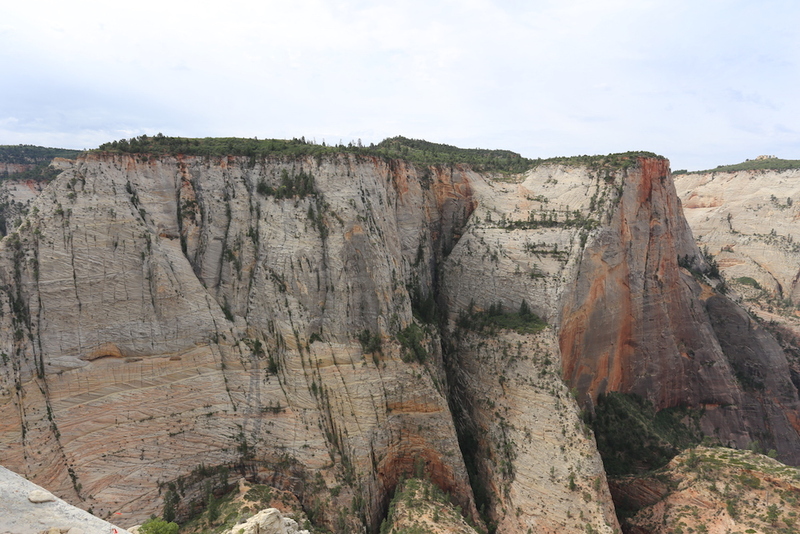 From there, you can look down directly at Angels Landing and can see the people over there if you focus enough. 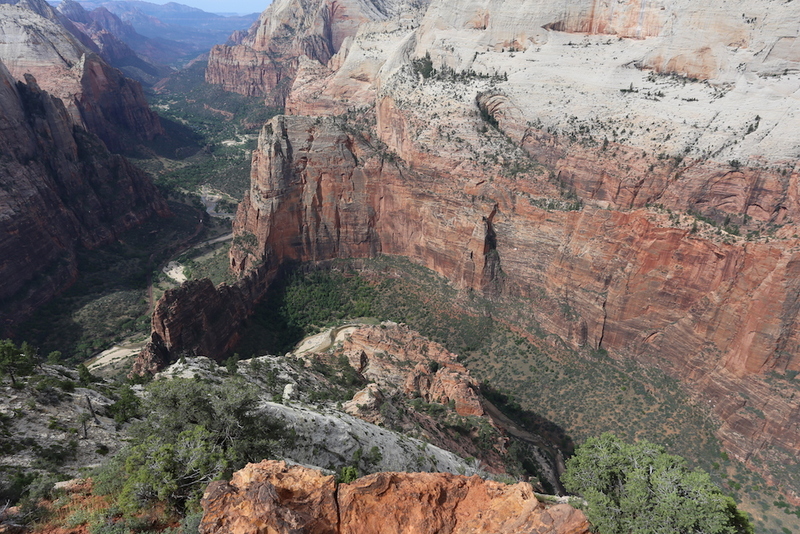 As I said earlier, I don’t feel it was as rewarding of a climb as Angels Landing. 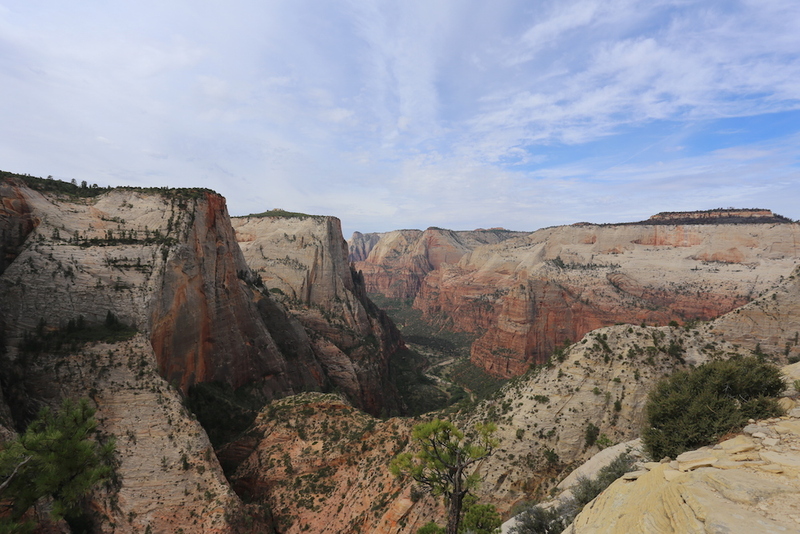 It was definitely a challenge and has great views, but Angels Landing has an added level of risk that just makes it more worthwhile. 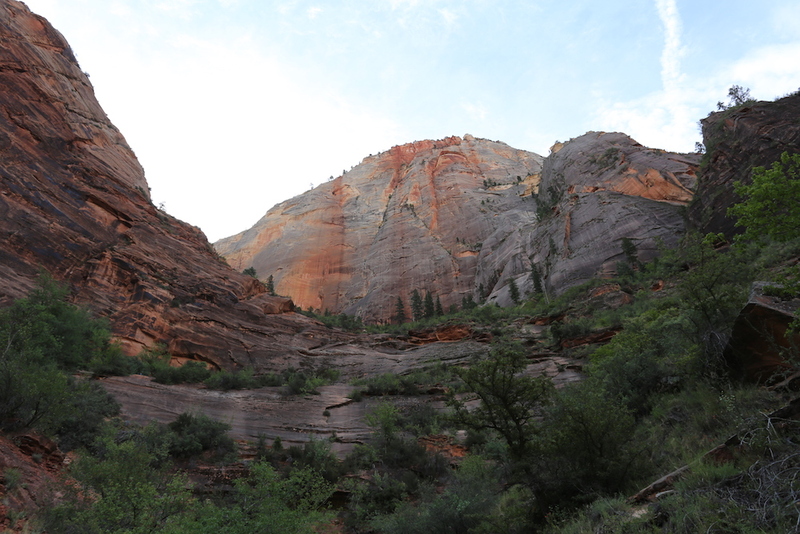 I’ve hiked almost all the trails in the Zion Canyon area that are listed on the park map. 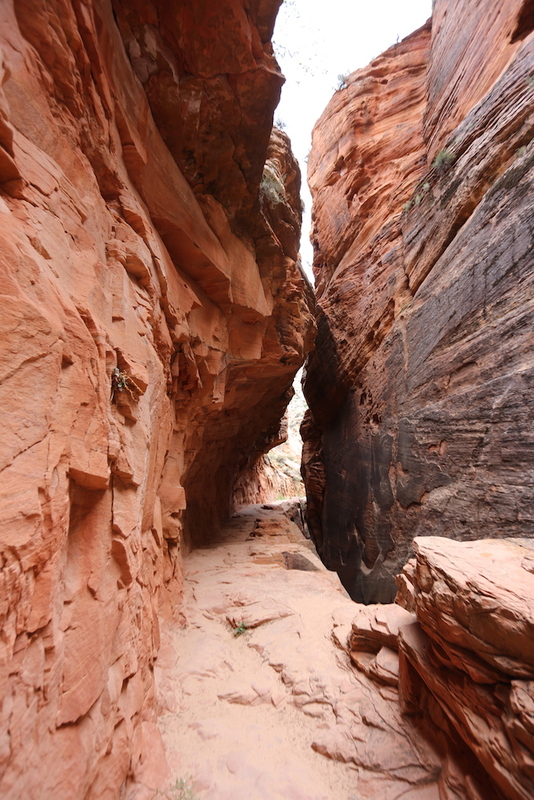 There are three small trails I haven’t done and the 10 mile Narrows. 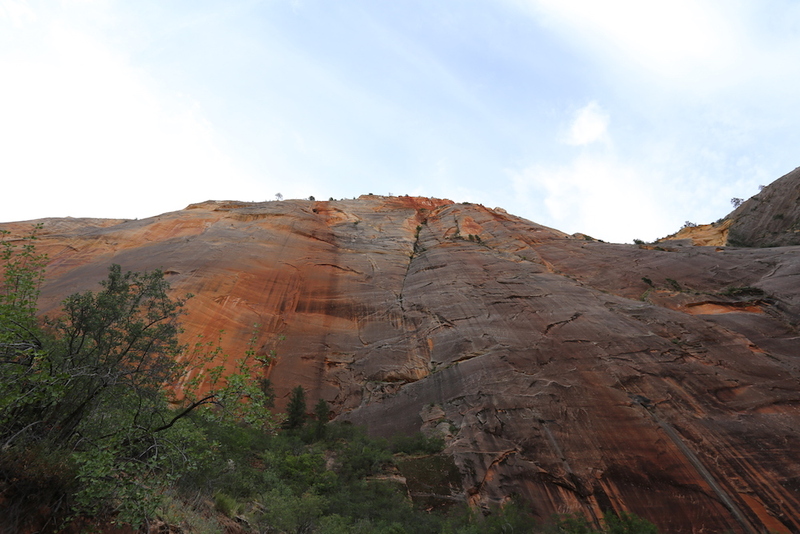 I still have 18 days before I need to be in San Diego, so I’m not exactly in a rush.